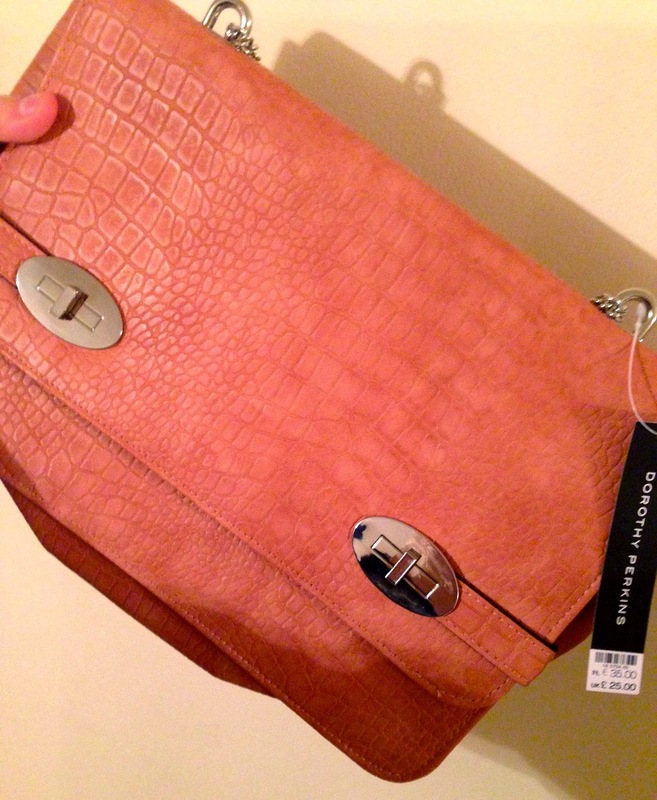 I was asked if I would like to feature a bag from House of Fraser on my blog and naturally I was over the moon. I LOVE bags I personally don't feel like I have enough in my collection. (I'm sure my boyfriend will think other wise). I didn't realise how many brands House of fraser actually stocked online. There is so much choice and I was a bit overwhelmed with what to actually choose. I ended up with a short list of 5 and asked them to pick which ever one for me :). Im quiet glad I did that cause it was such a good surprise when it turned up. This one is from Dorethy Perkins priced £25. It is a peachy pink colour with silver hard ware. It is a lot bigger than anticipated but I was very happy about about that as I am that person that take everything out with them 'just in case'. I feel like its a good size to use on a day out shopping, a night out dancing or even for throwing your uni books in to. I have used it quiet a lot already with all different outfits. I was a bit concerned as to if the colour would match but it actually works well with it being quiet neutral, it makes a change from my usual go to black bag. You can view my bag on the website here. at the moment it is discounted to only £15 such a bargain! It also comes in Navy if you prefer darker colours. Theres loads of different styles if this isn't your thing so make sure you check them out! 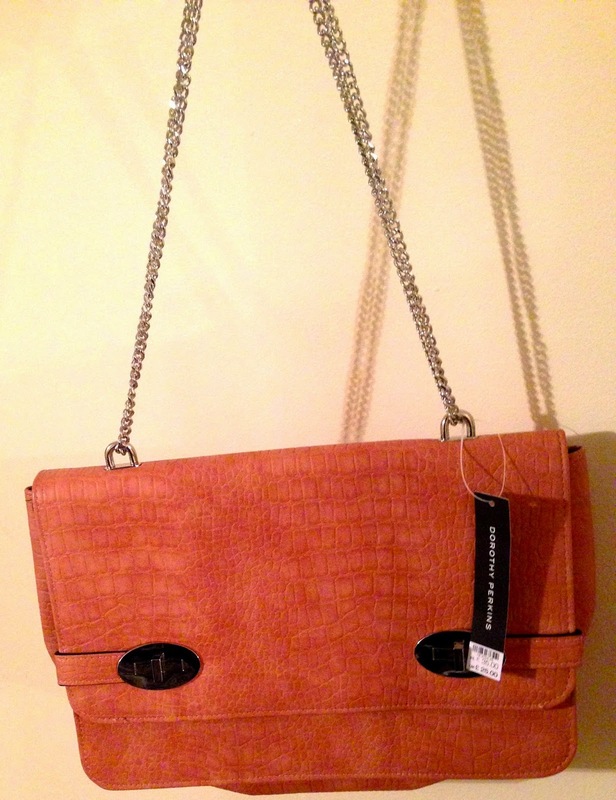 Thank you again House of Fraser for sending me this gorgeous bag! I hope I have inspired some purchases.